What Can I Expect from a Toastmasters Meeting? Inline with Hastings Week. What is happening in Battle to celebrate? Smartphones are changing the way we are eating. Until recently using a phone at the dinner table was frowned upon. Cut & Grill Christmas Party Menu Now Here! Promoting your Business and Lifestyle Financial Planning through Social Media. Got your A-level results today? Nando's is giving away free chicken! What better way to mark your A-level results than with free chicken? Is hosting the Olympics worth it? Would you like to make the world a better place for people and pets? Long-suffering Brits spend over a YEAR of their life waiting for things, according to new research. A disabled man has become the first to sail halfway around the world – literally SINGLE HANDED. Celebrate Pestalozzi's Success at their International Celebration Day! Celtic Dream is the true gem of the Emerald Isle! The Celtic Dream show is coming to WHITE ROCK on sat Feb 11th! Claverham Community College Christmas Market - always well attended with lots of varying stalls. Cycle path linking Bexhill-on-sea and Hastings. 1-million Lido Scheme has been announced to revitalise the West St.Leonards area. Celebrate 150 years of Firefighting in Hastings! Police WARNING over dangers of poached meat. On Wednesday 24th August 2011. The De La Warr Pavilion will be hosting the Flog It Valuation Day. Ravensclaw, the owners of Hastings pier, have been issued with an urgent works notice. Highly acclaimed Battle diner, Nobles Restaurant, picks up yet more accolades and recognition. Pestalozzi are inviting those of all ages to design a new badge for 2012. Do you have the best business in Sussex? This year sees the 23rd Sussex Business Awards and eleven highly acclaimed awards to pick up. This month Battle Memorial Hall Cinema Club features 'Limitless', starring Robert De Niro. Hurst Green officially opens their new environmentally sustainable primary school. Two battle Abbey pupils will line up in the finals of the Young Fashion Designer Competition. A positive step for business in 1066 Country as Battle welcomes a big brand to the High Street. School pupils from Battle, Bexhill and St Leonards attended the East Sussex Children's Book Awards. Customers and clients now have access to a number of new features on the local optician's website. Plans for between 3700 and 4100 homes have been outlined in Rother District Council's Core Strategy. In the wake of the highly acclaimed Black Horse Festival rides The Big Green Cardigan. Get your diaries out and boldly pen in 'Olympic Torch in Hastings' on July 17 next year. Support local traders and businesses by shopping in your High Street. Roll up! Roll up! It's the infamous Battle Marbles competition. Rother District Council set 46 projects to make financial savings. With some great feedback, this year's competitors are already pumping for the 2012 Sussex Marathon. Hastings Day - the next National bank holiday? 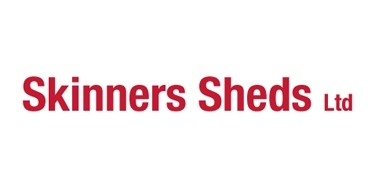 Skinners Sheds, has taken over the former Hygrade Food Factory on the A269 Bexhill Road, at Ninfield. The Comapany aims to refurbish the site as a manufacturing outlet. As the business expands, Skinners hopes to employ more people which is great news for Ninfield. Rother District Council may consider bringing back weekly bin collections, following many complaints about the 2-week collects since 2007. The plan is under discussion.